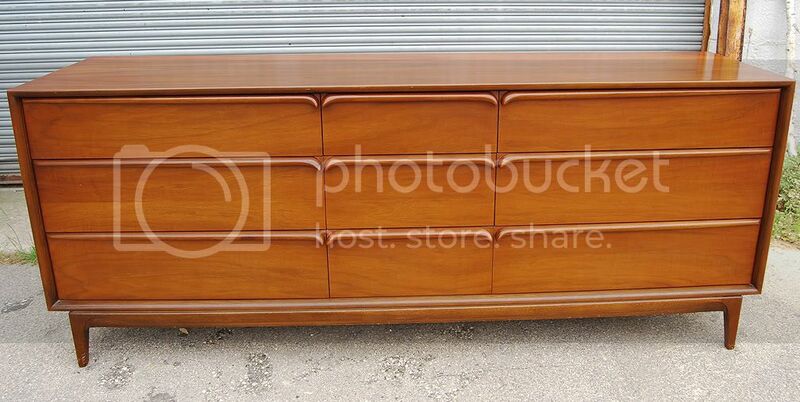 This is a wonderful Mid Century walnut 6 drawer dresser. This dresser has solid construction throughout, dovetail joints and spacious drawers. Compliment your bedroom or any other room with this beautiful dresser. This dresser is in very good vintage condition. The top of this dresser laminated. Compliments any Mid Century or Modern living interiors. 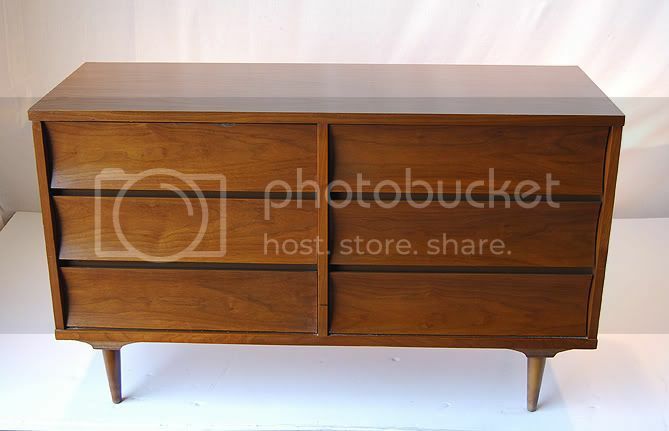 This is a Fantastic walnut 9 drawer Mid Century dresser by Red Lion. This stunning dresser represents craftsmanship at its highest level. This dresser has solid dovetail joints, spacious drawers and artistically designed handles. Compliment your bedroom or any other room in which you want to embody style. The dresser is in perfect condition. Compliments any Mid Century or Modern living interiors. I also have matching nightstands, queen size bedframe and mirror. Measurements 61.5" L x 20-12” W x 16” H and 2” thick. 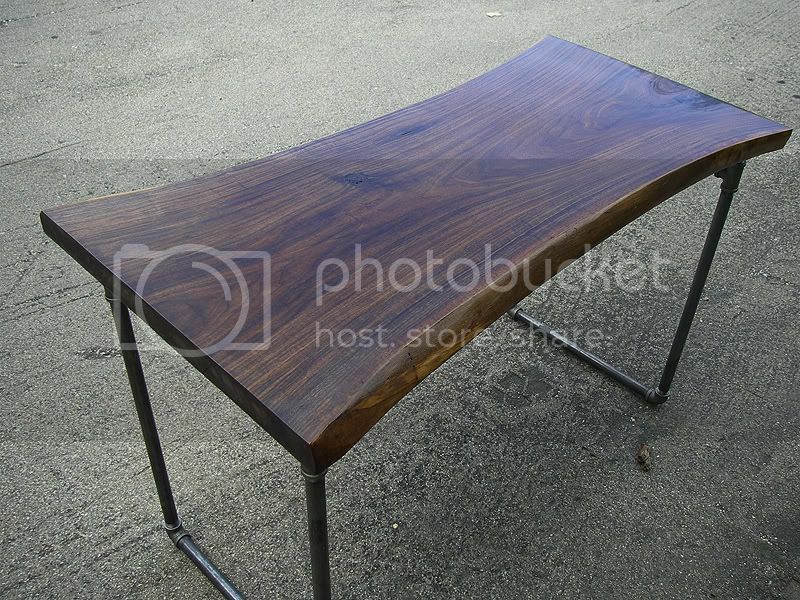 This is a fantastic Black Walnut live edge desk. The design has been hand selected and crafted from local reclaimed black walnut trees. This desk features an industrial steel base and a natural live edge. Together with functional art and the inner beauty of these trees this desk celebrates the world around us. Blends well with any Mid Century, Modern Danish or Eames Era inspired interior. This black walnut slab has been air and kiln dried, and professionally crafted. I made this steel base to accentuate the beauty of this table and to give it a raw industrial look. I can also lower the base if you wanted to use this as a coffee table and even replace to industrial pipes with hairpin legs. Measurements 50" L x 20-25” W x 31” H and 2” thick.